Editorial for the Journal of Nuclear Cardiology on: Derk Verschure, et al. 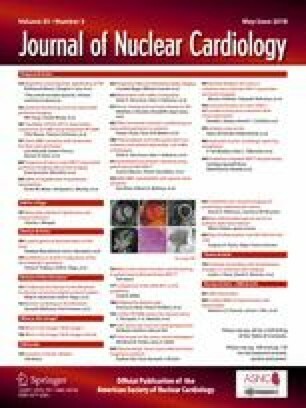 Polymorphism of SLC6A2 gene does not influence outcome of myocardial 123I-mIBG scintigraphy in patients with chronic heart failure. Nuclear cardiology is widely used to characterize the physiologic condition of the muscles, blood vessels, and sympathetic nerves of the heart. Myocardial perfusion imaging, in combination with functional study with electrocardiographic gating, allows detection of myocardial ischemia and infarction in patients with coronary artery disease. While nuclear imaging evaluates perfusion at the myocardial cellular level, x-ray computed tomography and magnetic resonance imaging can be used to assess perfusion, and provide visualization of the coronary vascular anatomy responsible for different patterns of myocardial blood flow. However, for examining the status of myocardial sympathetic nerves, nuclear methods using the SPECT agent 123I-mIBG or positron tracers such as 11C-hydroxyephedrine,1 11C-epinephrine,2 11C-CGP12177,3 and 11C-Me@HAPTHI (preclinical)4 provide unique information not available using anatomic imaging modalities. One of the major indications for 123I-mIBG imaging is heart failure (HF). In Japan, after official approval of 123I-mIBG (MyoMIBG, FUJIFILM RI Pharma, Co. Ltd) during 1992,6 diagnostic and prognostic use of 123I-mIBG is a class I indication, and use for examining the effect of medications is a class IIa indication.7 In the USA, the indication for 123I-mIBG (Adreview, GE Healthcare) is for risk assessment of patients with HF8 with New York Heart Association functional classes II and III, based on the ADMIRE-HF multicenter study.9 In Europe, cardiac indications for 123I-mIBG vary by country and often do not specifically refer to HF patients. As decrease in 123I-mIBG uptake is observed in a wide variety of pathophysiological conditions, does 123I-mIBG reflect results of secondary myocardial damage and dysfunction or any cause of diseases? Sympathetic activity suppression may be seen in spastic angina14 and Takotsubo cardiomyopathy, but imaging defects could be the result of ischemic condition at a microcirculation level. In conditions when transmural or scattered fibrosis occurs, even in infarction and cardiomyopathies, both regional myocardial perfusion and innervation are affected. Sympathetic defect on 123I-mIBG images is always larger than perfusion defect, and the regional mismatch may be related to the occurrence of ventricular tachycardia or lethal arrhythmogenicity.15 As such, although the pathophysiological meaning of derangement of activity with respect to causal relationship remains unknown, abnormal 123I-mIBG activity in the heart is a sensitive and sometimes early finding to identify NE transporter abnormality. Even when genetic influence on NET system is demonstrated in patients with HF, secondary myocardial damage unrelated to genetic abnormalities may coexist. In addition, contribution of non-specific 123I-mIBG uptake (non-NET-mediated) on early and late imaging findings is not well understood. Therefore, careful differentiation between a true genetic effect and HF-related myocardial damage will be required. Verschure et al evaluated the NET (uptake-1), encoded by the solute carrier family 6 (SLC6A2),5 in a series of HF patients undergoing 123I-mIBG imaging. Although several single-nucleotide polymorphisms (SNP) were found in their study, none of the SNPs were functional. Thus, it is not surprising that no associations were found between these polymorphisms and any 123I-mIBG parameters of cardiac sympathetic activity such as heart-to-mediastinum (H/M) ratio or washout rate. Functional variations in NET SNPs are known to exist in psychiatric and cardiovascular phenotypes such as idiopathic postural orthostatic intolerance, and therapeutic applications for regulating NET system have been sought in attention-deficit hyperactivity disorder, neurodegenerative disorders, depressive disorders, and other psychiatric diseases.16,17 However, the likelihood that such variants would be found in a broad heterogeneous population of HF patients is small. The question of whether presence of functional NET SNPs might play a role in development or progression of HF, and thereby be detectable using functional imaging such as with 123I-mIBG, remains unanswered. Even if there is a connection between NET SNPs and HF pathophysiologic condition, it would probably require genomic analysis of thousands of patients to characterize the association. Given the complex pathophysiological factors that influence cardiac 123I-mIBG kinetics, such as storage, release, and reuptake, much more work to elucidate genetic influences on cardiac uptake of 123I-mIBG is needed. The study of Verschure et al represents only a starting point for examining the relationships between NET genetics in HF and 123I-mIBG kinetics. The H/M ratio is a very crude parameter to analyze whole-heart kinetics of MIBG, although it is a practical tool for clinical evaluation of risk in HF. Standardization of methodology for calculating H/M ratio improves its usefulness with different camera systems and risk model creation.18,19 Nevertheless, more precise analysis using positron tracers allows determination of parameters such as receptor binding capacity, rate constants, and volume of reaction as in cardiac beta-adrenergic receptor study with 11C-CGP 12177.3 Analysis using 11C-hydroxyephedrine uses parameters of clearance or retention parameters.1 Improvements in 123I-mIBG imaging are possible using high-resolution and high sensitivity cadmium-zinc-telluride cameras, which permit dynamic SPECT acquisitions.20 Further, absolute quantification with a unit of Bq/cm3 is feasible using SPECT/CT. Appropriate kinetic modeling is also indispensable for analyzing kinetics around the sympathetic terminal. New radiotracers such as 11C-Me@HAPTHI offer promise for better demonstration of the NET system,4 and these preclinical investigations may lead to development of clinically effective parameters that reflect NET activity. Finally, electrocardiographic and respiratory gating may be required for analyzing a moving heart. At present, we cannot expect such complete quantification using 123I-mIBG. However, H/M ratio may be used for the initial evaluation to find the possible abnormality before proceeding to precise kinetic analysis. Within the next few years, it is likely that further research will show that genetic variations in NET coding can affect susceptibility to sympathetic nerve dysfunction, predispose patients with heart disease to develop HF, or affect responsiveness to HF therapeutics. When such genomic discoveries are made, molecular imaging including SPECT and/or PET of NET function should be a part of the characterization of the functional significance of the genomic results. Before going to the era of generalized NET imaging, further studies on basic characteristics of 123I-mIBG are still required, even as research on new NET system radiotracers and appropriate kinetic modeling techniques continues. The authors have no conflict of interest to disclose for this editorial.